After the demo, the Red Bull team opened up the park to a locals best trick contest. Pudwill, Zion, and Foy handed out decks, tees, and Ambush gift cards for the heavier bangers of the session. 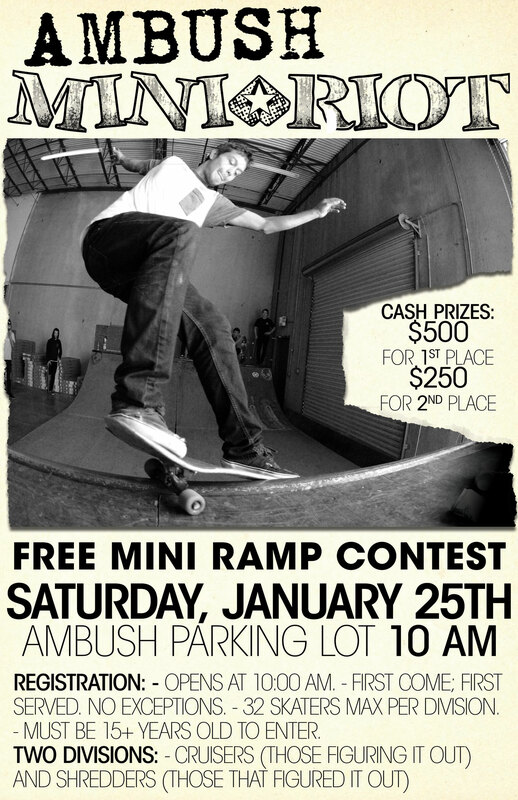 Saturday, January 25th at Ambush Board Co.
Two Divisions: Cruisers (for those figuring it out) and Shredders (those that have figured it out). Registration Opens at 10:00 am. First Come; First Served. No Exceptions. Must be 15+ Years Old to Enter. 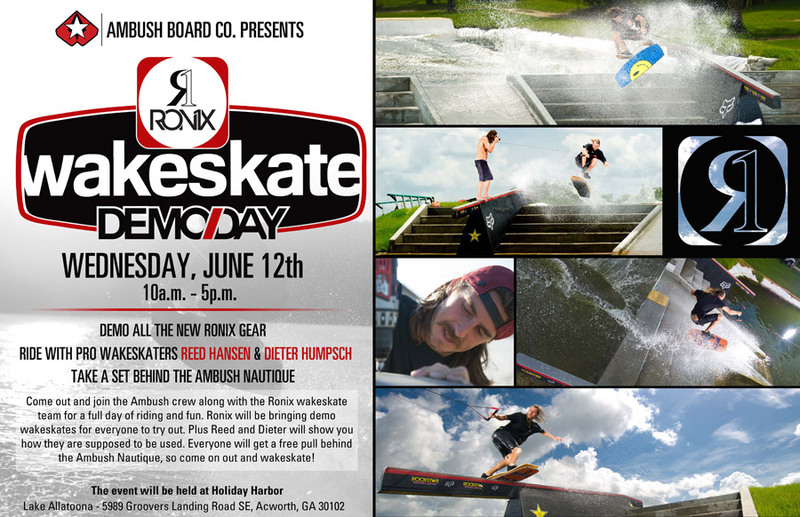 Sign up with a Red Bull representative on site at Ambush Board Co.
32 Skaters Max Per Division. Free T-Shirt for all Competitors. Prelims and Semi-Finals have four skaters skating in two 30-second runs each. The best run moves on to the next round. Red Bull Media House is known for putting out videos at a dizzying rate while still maintaining breath-taking production quality. For episode nine of Winch Sessions, Brian Grubb and fiend club member Ben Horan get their chance to winch one of natures most visually appealing arenas, the cranberry bog. Press play and enjoy one of the most aesthetically pleasing eight minutes of wakeskating you’ve ever seen. Remote Wakeskates at Ambush Board Co.
Professional wakeskater and Ambush advocate, Ben Horan, continues his journey through the upper Midwest in the latest Red Bull Winch Sessions episode. Check it out Ben and crew make their way from Chicago to Cincinnati, skating and wakeskating anything they can get their hands on. In this video, Ben’s rocking the Ambush Premium five-panel cap. Last updated by Rhett at April 23, 2018 .